Website refresh and new look! That is why we have refreshed the look of our website and changed some of the key shop layouts to improve and refine making purchases. If you experience any technical glitches please contact us so we can correct and problems. Coming Soon! 20v Turbo full engine bolt kits in Mirror Polished Stainless Steel. We are currently working on comprising a full engine bolt kit for the 20v turbo engines agu bam code etc.., these kits will be similar to our existing kits. The kits will be available to purchase very soon! Hi, Just a quick note to let everyone know that if they have a requirement or an idea for a product that is not listed on our website you are welcome to put forward suggestions for new products. We are always looking to expand our range and develop new products so if you have any suggestions let us know. You can also send us your old bolts to be matched up to stainless steel, this is the most accurate way of us identifying bolt types as etka is not always 100% accurate. We are pleased to announce that finally we now have up for sale complete VR6 engine bolt kits, these comprehensive kits have over 150pcs!! And we are retailing them at only £89.95 plus we are still running the free worldwide postage offer!!! Click me to take you to the VR6 engine bolt kits! All Mk2 Golf stainless steel fixings now added! All the mk2 golf range of mirror polished stainless steel fixings has now been added to our shop and are available to purchase! 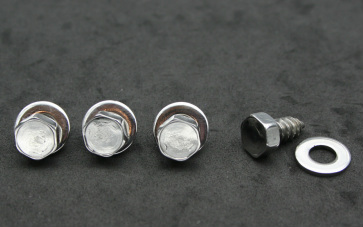 Plus we are pleased to have added some new products including the radiator fan cowling screws! All mk1 golf stainless steel polished nuts bolts and washers all listed! And remember we are still offering free worldwide shipping on all orders! We are still currently adding all the product's and are pleased to announce we now have wing bolts, battery covers, radiator top cover, radiator brackets, and all the stainless steel polished mikalor hose clips added and available to buy. The mirror polished stainless steel bolt kits and sets we are currently working on and will be added soon! the merge from the old site to this new site is now complete! there are still a few old links on google etc.. that take you to 404 page not found but hopefully google are pretty good at clearing up old links. This new site is up and running and we are in the process of adding products. If you cannot find a product just drop us an email and will will be happy to help. Welcome to LMR LiquidMetalRefinement's new website, the old website will soon be merged to this one and this will become www.liquidmetalrefinement.co.uk and we will loss the weebly branding. Thankyou to all our customers for there support and patience during this time. You can purchase items still from the old site and also products that have been listed on this new site. All the best Matt @ lmr.